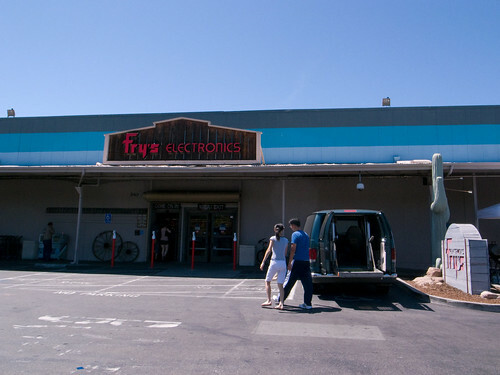 Fry’s is a unique Silicon Valley computer and electronics chain that opened in 1972 with a converted grocery store in Sunnyvale, CA. There are now more than 30 locations across the country, many with unique themes. 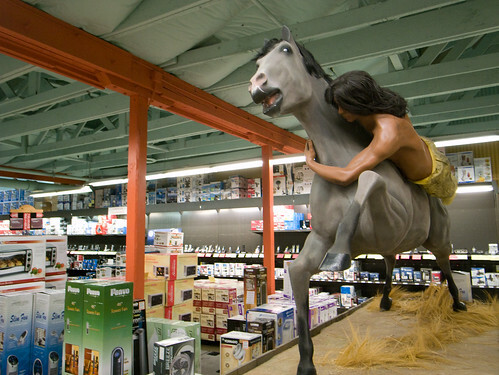 Yesterday I shot a few photos of the Palo Alto Fry’s which as a Western theme. 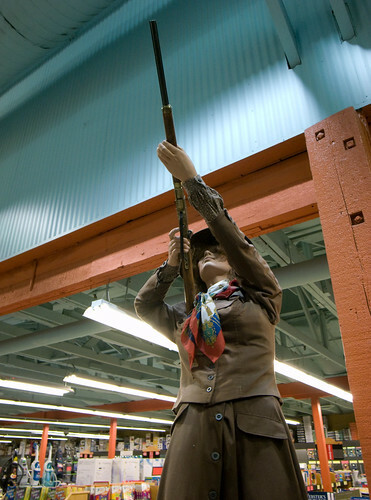 I think more computer stores need cowgirl mannequins shooting rifles. My favorite Fry’s theme that I’ve seen is the Burbank store which has the retro 1950’s Sci-Fi movie theme. 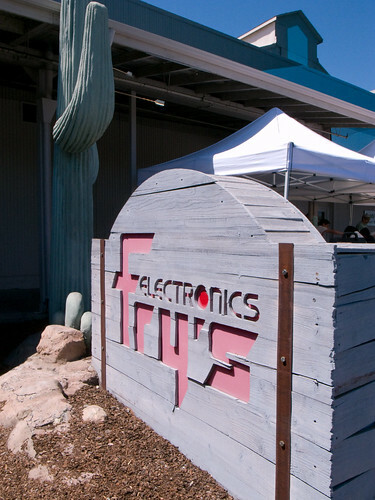 UPDATE: Katie Fellows tipped us off to Christensen Design, which creates many of the themes for Fry’s stores, including the Space Station theme in Webster, TX.